Sweet & Spicy, the best of both worlds done with Hi Mountain's standards of pure spices and a consistency you will love. Each kit seasons up to 15 lbs. of whole meat, 11 lbs. of ground. 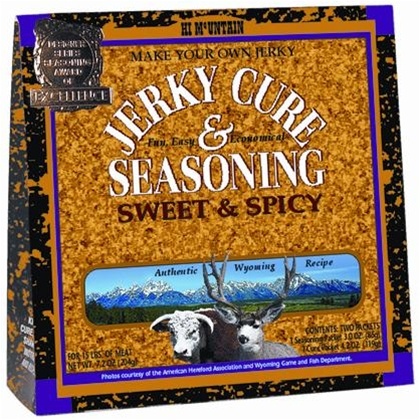 Kit includes one package of cure, one package of seasoning, a shaker bottle for easy mixing and detailed instructions.